Thank you for your interest in volunteering at Southern Vermont Arts Center! As a community-centered nonprofit, we rely on volunteers to help us create the best experience possible for visitors to the Arts Center. The Southern Vermont Arts Center is looking for volunteers for its new docent program. SVAC’s docents will be educated and trained on the exhibitions presented in both Yester House and the Wilson Museum by the Curator and/or Gallery Director. Working only a few hours at a time, docents will give small tours, answer visitor questions about exhibitions and artists, and maintain a safe and secure environment for the artwork. Our volunteer docents must be willing to devote about 3-5 hours per week, be able to stand/walk for 2-3 hours at a time, be comfortable talking to guests about the exhibitions, and be willing to assist and support the Gallery Associate. 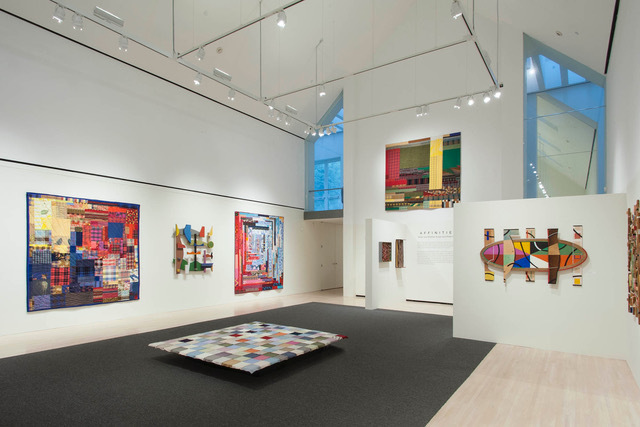 Every year, the Southern Vermont Arts Center provides its guests with ever-changing art installations in both the Yester House galleries, and the Wilson Museum. This year, we are creating 15 exciting exhibitions! We are looking for volunteers that are interested in assisting the Gallery Director and SVAC Associates with the install and deinstall of these exhibitions throughout the upcoming season. Our installation/deinstallation volunteers must be able to walk up and down stairs, lift 40 lbs, have basic knowledge of hanging/carpentry skills, and be willing to offer any support to the SVAC staff during installation and de-installation. If you are interested in any of these volunteer opportunities, please send a cover letter and contact information to submissions@svac.org.